The $74 bln coffee giant unveiled a massive espresso emporium in the centre of Milan. It sounds like the equivalent of carrying coals to Newcastle. But there may be some logic here if the buzz created around the Italian launch gives a jolt to flagging sales in America and beyond. 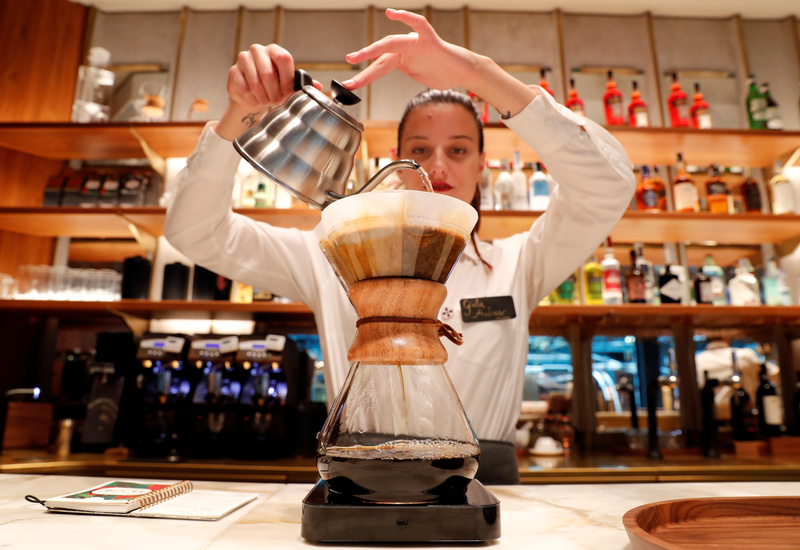 An employee prepares a coffee inside the new Starbucks Reserve Roastery flagship in downtown Milan, Italy, September 4, 2018. Picture taken September 4, 2018. Starbucks on Sept. 7 opened its first upmarket retail coffee outlet in Italy. The Special Reserve Roastery is located inside a century-old building at the iconic Cordusio Square in central Milan, within walking distance of La Scala opera house and the Duomo Cathedral. The Seattle-based group plans to open four traditional cafés in Milan before the end of this year. The speciality coffee outlet market in Italy grew by 40 percent to $249 million in sales between 2012 and 2017, according to Euromonitor International data. This is still a fraction of the global market, valued at more than $50 billion. This segment is dominated in Italy by McDonald’s, which commands a 64 percent market share through its McCafé chain.